Can it be wooed by Windows? 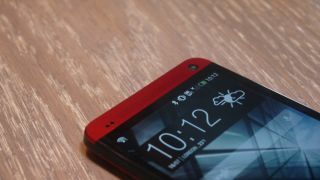 It's been some time since HTC put out its last Windows handset, and after Microsoft's Nokia devices buyout, the possibility for anything down the line was beginning to seem unlikely. According to sneaky sources speaking to Bloomberg, HTC is not planning any more Windows OS handsets for the future. But Microsoft isn't backing down. In fact, Redmond is apparently pushing for HTC to put Windows Phone on some of its devices as a secondary operating system to Android. Head of Microsoft operating systems unit, Terry Myerson, is said to have asked HTC last month to offer Windows Phone as an option, sweetening the deal by offering to cut or remove the licence fee. The details are far from clear. We've no idea whether the proposal is to let users switch between the two or offer some sort of Android-Windows blend. But it looks like Microsoft is keen to keep playing ball with third party smartphone makers. The same report states that Steve Ballmer met with handset manufacturers during a Beijing trip last week in order to emphasis its desire to keep working with others alongside Nokia. We've contacted HTC and Microsoft for comment and will update if we hear more.